The 1977-78 NBC TV movies and series Man From Atlantis is considered. The music 'Atlantis' by Audionautix used is licensed under a Creative Commons Attribution 3.0 Unported License. More 1970s creepy TV monster movies are considered including The Night Strangler, Moon of the Wolf, The Cat Creature, and Curse of the Black Widow. Join me and Mark Jeacoma as we discuss this episode of Little House on the Prairie. 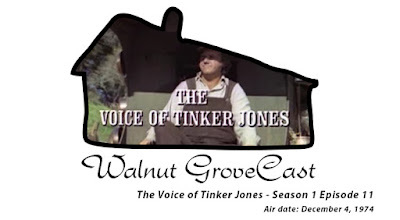 Chuck McCann guest stars as Tinker Jones, local tinsmith for Walnut Grove that wants to resolve the town argument over the funding of a church bell. Have no fear, the Man Of Bronze is here! Listen to your Forgotten TV host join Todd on the Forgotten Filmcast to discuss the 1975 film Doc Savage. Get the popcorn ready (or the traditional lunch of Hidalgo of Americanized hard shell tacos) and thank the Lord he's here! For those that really want a background of what The Phoenix show creators were thinking...I present to you The Phoenix writer's bible! DID SPACEMEN VISIT EARTH THOUSANDS OF YEARS AGO? Erich von Daniken, author of "Chariots of the Gods" and "Gods from Outer Space" says we now have proof. The television special, "In Search of Ancient Astronauts" gave us a glimpse of some of the evidence von Daniken described with such fervor in his books. Scientists, from time to time in history, have been confronted by fantastic objects and archeological marvels which refuse to fit conventional theoretical molds. The question in their minds: Could these things have been the product of a superior intellect from another world? The world's sacred books are full of descriptions of gods who came down from the sky in fiery chariots and who always promised to return. An ancient Sanskrit text contains an account which can only be a journey in a spaceship, complete with a graphic description of the force of gravity. We find electric batteries many thousands of years old. We see depicted in ancient bas-reliefs, strange beings in perfect space suits with platinum fasteners. We are confronted by numbers with fifteen digits - something not registered by any modern-day computer. Archeology accepts such mysteries as puzzles. And stops cold. Did astronauts visit the earth 40,000 years ago? Did they establish a civilization centuries ahead of it's time. If they did, why was it abruptly ended? Did they establish a pre-historic space port in the Andes? Did extraterrestrial beings help set up the giant stone faces that brood over Easter Island? Let's say that ancient astronauts landed on earth some 40,000 years ago. These unknown space travelers can hardly have been less farsighted than we think we are today. They were convinced that one day man would make the move out into the universe on his own initiative, using his own skills. But landing here, these ancient astronauts, searching for intelligent life, discovered that we had not yet reached the point of our own development where they could help speed up the process. It was still not time to make such a move mutually beneficial. So they left behind them a watchman, a caretaker: BENNU. A superior being, like themselves, carefully hidden and suspended in a state of deathlike sleep who awaits the moment he would be awakened to complete his mission. To make certain that men on this planet would one day be ready for contact with the forms and species of life existing in galaxies of infinite disparity. The mission of this caretaker is to subtly influence Homo sapien toward the peaceful uses of outer space, and to help make this planet, with its multi-spectrum of problems, fall into its proper relation with the cosmic processes. In other words, he is one evolutionary step upward from man as we know him. He is a superior being, intellectually, emotionally and physically. He has supernormal faculties and abilities which only Tibetan monks, Yogis, Buddhist priests, and some futurists might begin to understand. But Bennu is neither immortal nor a comic strip superman who cannot be killed. He simply has at his command certain innate qualities which futurists today believe man will someday be able to use. He has the use of many psychic faculties which science today is only beginning to research. And Bennu has skills, intellect, and knowledge in many areas which our science today has only begun to probe. Bennu is a prismatic being, a giant shaft of hope for humanity, yet rarely evidencing superiority in attitude. Aside from his super abilities, Bennu is endowed with optimum capacities to love. To be exact, he is a compassionate giant with positive emotional depth and expression which equal his Homo superior capabilities such as physical levitation, telepathy, precognition, clairvoyance, astral projection, telekinesis, etc. One of Bennu's greatest assets is his sense of humor...he rarely misses the mark. He can be covert or broad, wry at times too, but joy, laughter and humor occupy an important space at the very core of this man. Touching means discovery to Bennu and his continuing life on this planet has a lot to do with observation, search, study and revelation. He needs to adapt to whatever situation or cultural difference he is involved in, so he gently prods the Earth and her children for the secrets necessary for survival and solutions. This is a vulnerable man, sensitive to negative vibrations, environmental disorder, absence of the sun, discordant sound or frequencies of pitch, pollution, man's manipulation of man, and the elements. All these and more can have a profound and destructive effect on Bennu both physically and mentally. However, Bennu is not a man with perfect control. The pathways in his brain lead to pools of anger that react instantly when provoked. He can get mad as hell, frustrated and disappointed, sometimes impatient. But the components of his brain exist at a high level of development. Bennu's storms diminish quickly, but only after he has enjoyed them. The galaxy is remote in both time and place. It exists now as it existed a million years ago. The planets of Bennu's galaxy were borne at the dawn of time, a time so removed from our concepts of time as to be incomprehensible. Nations, politics, war and disease were no part of the structure of their society, and evil-almost totally eradicated. Bennu's planet is "Aurica" (note: changed to Eldebran for the show), an exquisitely perfect world of rich forests and seas, of elegant cities, and perfect human society, where the magical laws of harmony with the world were completely achieved. This was not merely a bland, dream-like state of contentment, but a highly practical way of life. The Auricians were brilliant in all fields, in architecture, the arts, scientific knowledge, as well as being completely unified in their religious, magical life. And this perfection has endured for ages. Bennu was born in the great forest of Donyx, an immense wilderness on the edge of the largest city of the Elvine continent. His mother and father were descendants of the "Guardians of the Beasts", a long line of keeper-trainers of the forest creatures. Their heritage is both cultural and metaphysical, the wisdom of natural magic bringing them in harmonious accord with their environment and the living beings around them. From infancy, Bennu lived with animals and birds, actually learning traits of the beast such as biological defenses and more efficient sensory uses. In turn, the creatures of the forest learned to communicate with human beings and developed certain human traits such as reasoning and wit. On Bennu's home world, Aurica, music has become far more than pure entertainment. It has become a super science. The elders of his world have long known that the processes of creation and construction are all dependent upon the vibrational power of tone. To them, music is a sacred science and sound is the building blocks of all physical manifestation. To the Auricians, the future development of the human race must be toward a harmony of the galaxies, and the new music born out of their mastery of sonics has become a tremendous factor in lifting the consciousness of man into a true perception of the need for that universal harmony. It was in that spirit that Bennu was left as a seedling on earth, his knowledge of energies and the power of music and tone to be used as a catalyst to lift primitive man on this planet to a higher level of attainment. But it was also the corruption of this new science which led to the banishment of a man named Aiwaz (note: changed to Yago for the show). Long after the seeding of Bennu on Earth, a struggle for power had ensued between the Luciferian Aiwaz and the elders of the old and wise order. The elders recognized Aiwaz was creating discordant emotion and destructive passions that had been eliminated from their society long ago. He was introducing hatred, lust and fear through sound-discord into the physical bodies of those who disagreed with him, thereby lowering their tone and interfering with their normal functions. This being a capital offense, Aiwaz was brought to trial, but since there was no death penalty, he was merely separated from his physical body and sentenced to roam an astral plane of existence for a long period of time. But Aiwaz was far more ingenious and dangerous than even the elders realized and, after a period of time, was able to make his way through time and space to a tiny remote planet where his fellow countryman, Bennu, lay sleeping, a planet whose keynote is F, the very keynote which could allow Aiwaz the sound-tunnel through which he might make his way back into the physical world, back into a human body. It is this very occurrence which causes the elders of Aurica to alter their awakening plan for Bennu. It is the elders who subtly create the conditions for Bennu to be found earlier by archaeologists so that he might, along with his other nobler mission, confront and somehow overpower Aiwaz and return him to Aurica. As opposed to the life-giving properties and warmth of the sun which is the symbol and energy source of Bennu, the moon is the source of occult power for Aiwaz. The moon rules over the hidden processes of nature, the hollow spaces of the earth, and the movements of all the fluidic elements within and upon the earth's surface. Among the moon's many powers it that of influencing the minds of men, and Aiwaz can exploit this power through illusions to distort reality (this power of the moon was implied in the Lunancy Act of 1842, which referred directly to its phases). There prevails an almost universal belief that the physiological life of women is linked with the moon, and the psychological and seductive implications connected with the moon and the classic Dracula vampirism is a part of the image and quality of Aiwaz. He has a strong and powerfully sensual influence on women, and though we will not (in an eight o'clock show) want to create the impression of a lecherous male roaming the Earth at full moon seeking whom he may deflower, we can certainly establish his sensuality and effect on women. Like the moon, Aiwaz has an immense attractive power over the forces of nature, i.e., water, ice, storm lightening, a magnetic quality known to the ancients, the power to use destructive forces to his own ends. There is also inference in this that our bodies, and the bodies of all living things, constituted as they are largely of liquid elements, may be affected by the power Aiwaz can generate from the moon. Might not the human brain, a mass of semi-liquid pulp, be stirred in strange ways by these impulses? Aiwaz, also exploiting the waning and waxing powers of the moon, can decrease Bennu's powers and energy. And like the changes and phases of the moon, Aiwaz has the power to metamorphose, to change his appearance, to alter his facial structure, to stretch or elongate his limbs, to blend like a chameleon. The use of music and sound is Aiwaz's destructive corruption of the ancient super science of his world. He has managed to materialize two instruments which accord him power that only Bennu will be able to really understand and cope with. "The Bells of Thon" which he wears as a bracelet around his right wrist can be shaken lightly and create either subtle or disastrous effects. They can deafen an ordinary man or shatter glass or even set off an explosive force by ultra high frequency vibration. Aiwaz has another weapon which is far more insidious, "The Black Moonball" another "musical" instrument like none we have ever seen which, when activated can energize natural forces of the moon into currents under Aiwaz's direct control. It is also a molecular converter when used in it's "crescent phase", allowing Aiwaz to alter his physiognomy and to transport him instantly to other positions in space. Suffice to say, Aiwaz is dark, not of complexion, but of aura. An evil lamb, an inviting sip of hemlock, a sensual curse of the spirit. All things wrong and to be despised wrapped in a deceptive skin of imposture. He is in Earth's terms, a man approaching forty-five, each feature borrowed from a different classic artisan of bygone cultures. His eyes are the key, they seem of animal origin, almost, but not quite, double lidded, opening to reveal a rubbed charcoal color. They blaze and die at will. Medium in stature, he is tight and straight. His hands are contradiction to the picture, beautifully shaped with long tapered fingers. The Devil's grasp reaching through a warp, soundless, but for the small chill of bells. The stories will revolve around how Bennu makes his way, a man of the future, through the present day. How he reacts to people and how they react to him. There will always be the danger to him from those who would try to use him and exploit him...or kill him for many reasons. But in the main, they will be stories about a man who wants to help people, who wants to guide them carefully over rough places in their everyday evolution. He is in no way attempting to force them into prescribed patterns, but he can influence them with the strength of his personality or by subtly and secretly using his extra-normal talents. His movement should take him into many walks of life. He could have an effect on the scientific community, of course. But what about areas of education? Areas of government? Of crime? Of medicine? Of law? What would his effect be on patterns of discrimination? How would he react to women who might fall in love with him? What about children? There are thousands of stories in which this man with the strange mystique could become involved. And in each one, his presence has a profound effect on the people with whom he has come in contact. They are a little better for having known BENNU. Within the framework of the over-all concept which calls for stories of adventure, intrigue and imaginative suspense through the use of Bennu's unique abilities, the emphasis will still be on human relationships, with and thrills, rather than on violence and guns. The characters with whom Bennu comes in contact with should be characters with whom we can identify and have empathy; someone whom Bennu must help, a sympathetic person or persons who enlist his aid or whom he saves from imminent disaster. The stories will have a kind of stylized, escapist realism, with themes which project a feeling of importance so as not to give the Phoenix a mundane or pedestrian smallness. Each story will have rapid pacing and opportunity for Bennu to display his incredible talents in a seemingly credible manner, taking advantage of possible humor and relief from suspense and tension, together with relationships that will allow Bennu to exhibit great warmth, compassion and humanity. Each story will begin 'at the top' with Bennu already involved with the action. He will be there, whatever the situation demands, wherever the problem has manifested itself. Unlike other heroes, i.e., detectives, agents, etc., Bennu does not have to be told what his assignment is going to be, who the people are, what the crisis is. He knows. He gains information through his own means, his own intellect or telepathic powers. Bennu has no intention of purposely killing anyone, although he may be placed in a situation where he is force to kill. But essentially, he is still a man of peace who is attempting to aid Homo sapien in any capacity which he feels is necessary, whether it be in law and order or in seeing to it that the technological advancements of mankind are used by men of good will whose intentions are toward universal harmony. But as the first story indicates, Bennu is not invulnerable or infallible. He can be injured and he can be killed. The 'cosmic energy' which he uses to supplant his own natural psychic and metaphysical abilities must constantly be replenished for it diminishes over a short period of time and with use. If the Phoenix Amulet, which supplies that radioactive energy should be lost, stolen or smashed, his talents are appreciably reduced, and the danger to his physical person is greatly enlarged. He must then find ways once again to construct his advanced scientific and metaphysical instrumentation in order to regain the necessary energy. It is also true that his telepathic ability is not infallible. He gets impressions that may or may not be complete. They may be only clues which must be followed up through direct action. Bennu is a man of the future. "Homo superior". He is a different biological species from Homo sapien, but only in the sense of being a direct descendant. Bennu is simply man as we shall know him in two hundred years perhaps; advanced physically, spiritually, metaphysically, but still man, and probably possessed of some of man's weaknesses which may never be disinherited-(nor should they ever be) things like love, compassion, idealism, qualities which can be used against him by the unscrupulous. Bennu can read a book on anatomy or electronic circuitry or philosophy in a matter of minutes and, as a result, can become extremely knowledgeable in any given subject in a very short time. This gives him the ability to function on many different levels and in many different roles. As a situation finds it necessary for him to gain entrance to a hospital, he can assume the role of a surgeon and carry it off with the skill of a professional. If he needs to become part of the staff at a nuclear test center, he is well able to perform any scientific task with great qualification-and it would be a simple matter to assume any role necessary to aid him in the completion of a particular mission or to help someone in distress. There are those who will want to use and exploit him to their advantage, and there will be those, like Aiwaz, who will find him a danger to their own plans. As a result, Bennu must continue to do his 'work' in secret, and often finds himself being hunted by hostile forces. Since Bennu is a most remarkable and unusual character, the stories must, as a result, be of that same caliber. They must have curious, baffling details, intricate sub-plots and worth antagonists, all so as to give Bennu hurdles and obstacles in direct proportion to his skills. Where did he come from? Who is he really? We shall determine that a little bit at a time over a long period of time. It should be almost a subliminal revelation, an emotional rather than intellectual discovery. 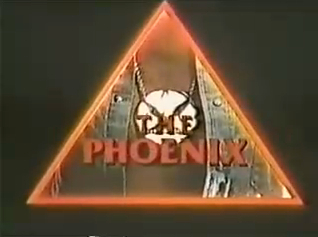 It shouldn't become 'Joe Explainer', but rather unfold with a sense of the great mystique which surrounds the Phoenix, and is the style of the series. It should be done as visually as possible, rather than through a verbal exchange. It should be something that people are eager to discover rather than feeling let down by some pseudo-science-fiction-type explanation. It should have a feeling of continuity and of surprise that doesn't really end, only expands and grows more interesting as we go along.